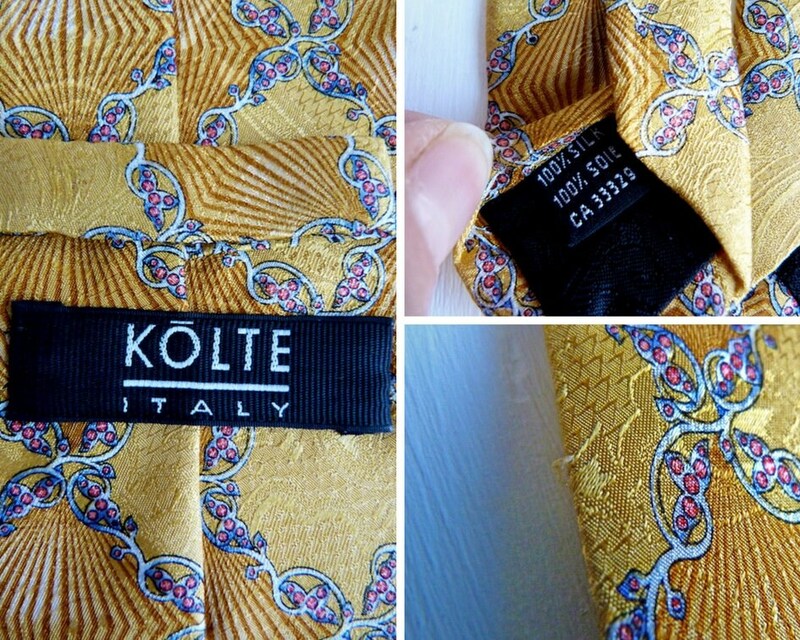 Very beautiful 100 % silk long tie from KOLTE Italy. 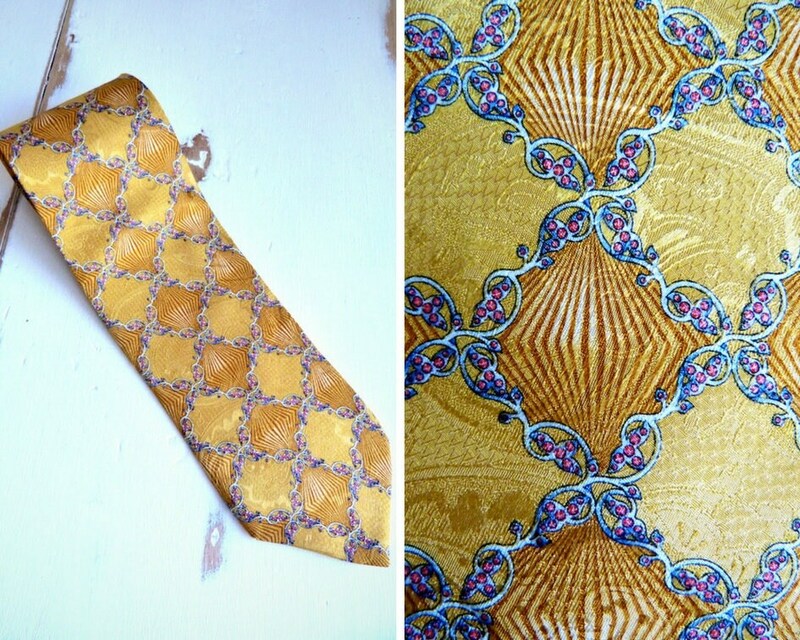 A stylish pattern in tones of yellow-orangey on a soft glints textured fabric. 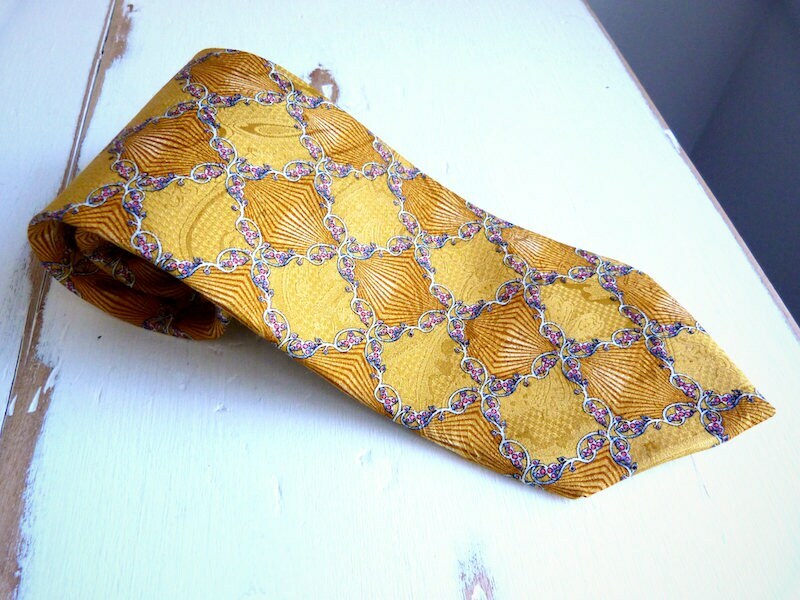 The yellow is really nice, not flashy, and it will brighten elegantly a dull sober outfit. 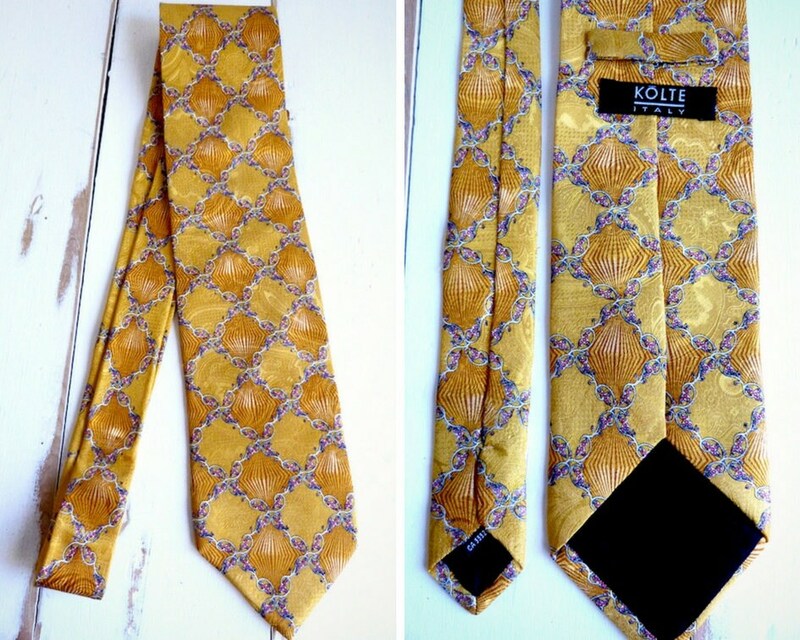 Italian quality.